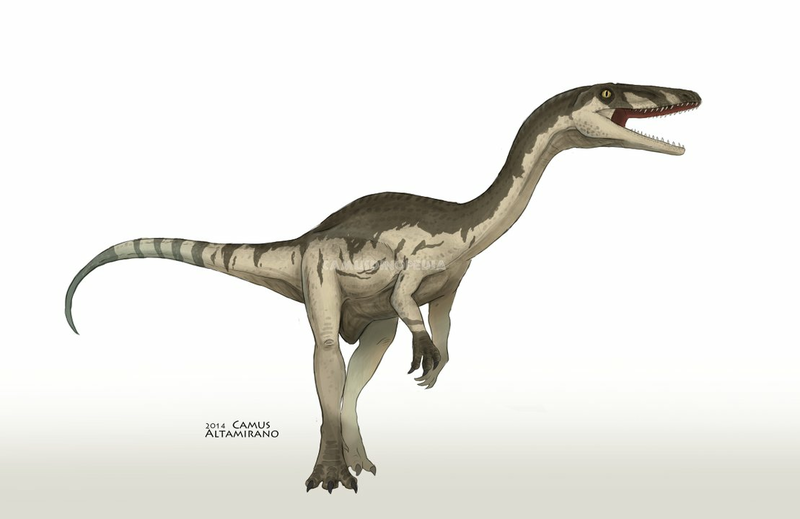 Coelophysis is a small dinosaur that lived approximately 200 million years ago in the Late Triassic Period. It was originally discovered in 1881 by David Baldwin. 8 years later—in 1889—it would get its official name from Edward Cope. 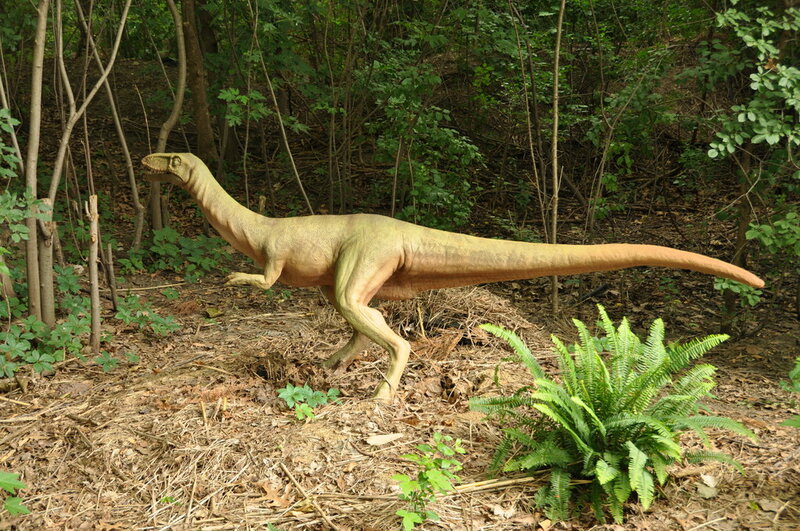 He named it Coelophysis—which means “hollow form”–because this dinosaur had hollow bones. 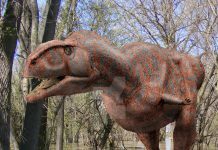 This dinosaur was about 9 feet long, 3 feet high and weighed about 100 pounds at most. It’s hollow bone structure made it light and agile, a trait it needed to avoid some of the predators of the day. 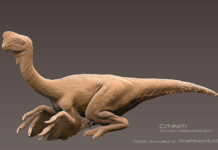 They were also one of the first dinosaurs to have wishbones, which helps solidify the whole dinosaur to avian connection. 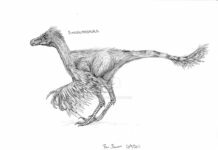 However, the Coelophysis was only a distant relative to birds. Birds wouldn’t start evolving from dinosaurs until late Jurassic period—approximately 40-50 million years later. For about 60 years after it was discovered, there wasn’t much known about this dinosaur because there wasn’t a whole lot of fossils of it. 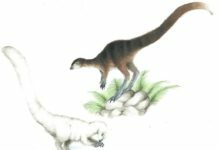 However, that changed in the late 1940s when the mother lode of Coelophysis fossils were discovered at New Mexico’s Ghost Ranch Quarry. So many of these dinosaurs were found there—thousands of them to be exact—that New Mexico would eventually make this dinosaur their state fossil. 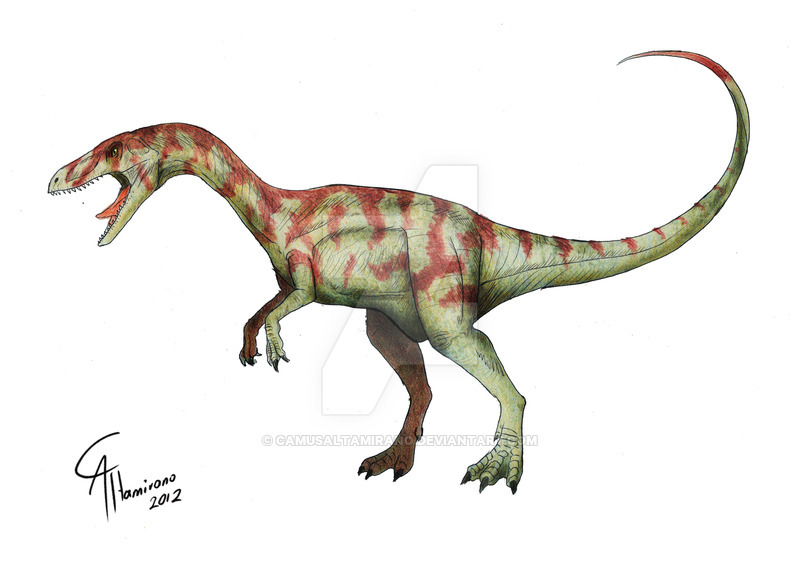 Another interesting fact about this dinosaur is that at one point in time it was accused of cannibalism. That’s because small fossilized remains of reptiles were found in many of these dinosaur’s stomachs. 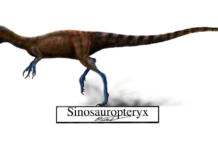 This prompted many scientists to believe that these dinosaur’s feasted on their own young. However, that wasn’t the case. Scientists eventually discovered that what was in these dinosaur’s stomach wasn’t their own young or even other dinosaurs, but archosaurs; the earliest living representations of crocodiles and birds.